Britain's Prince Harry talks with a guest at a reception at the Sanctuary Golf Course in Sedalia, Colo., south of Denver on Friday, May 10, 2013. 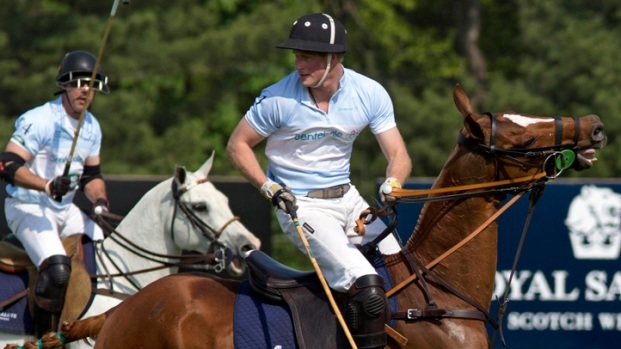 Prince Harry is making the most of his American tour. While we haven't seen any wild shindigs a la his naked Las Vegas incident last year, the red-headed royal did let loose a little bit Saturday evening after attending the Warrior Games in Colorado Springs, Colo. 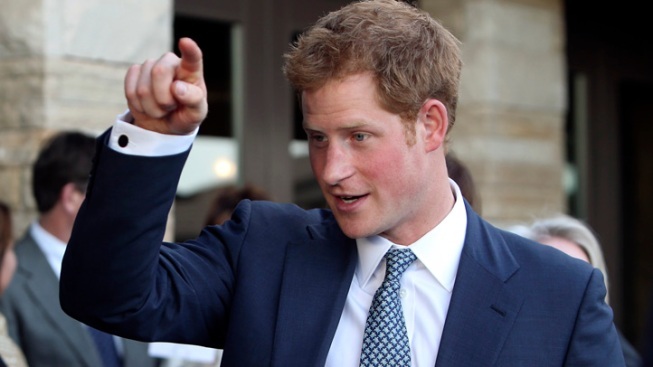 PHOTOS: Take a look at Prince Harry's White House tea party style! The prince was spotted walking out of the British-themed Golden Bee Pub after arriving about an hour earlier in his eight-car motorcade around 6 p.m. Although the event was closed to the public, a few residents showed up outside the establishment to get a glimpse of Prince Harry when they heard he was there. Inside, Prince Harry mixed and mingled with about 40 guests, who were all served Pinot Grigio and Pinor Noir. So, what's up next for the Prince of Wales? Prince Harry will continue his stay in Colorado Springs today to watch a cycling competition at the US Air Force Academy, and will travel to New Jersey tomorrow to visit some of the areas hit hard by Superstorm Sandy last year. PHOTOS: Take a look at more shots of Prince Harry in America!